The RADMASTE Centre undertook teacher-training projects in different provinces with the national and provincial Departments of Education, and various donors. These projects/Short Courses involved integration of microscience activities into teaching and learning resources. 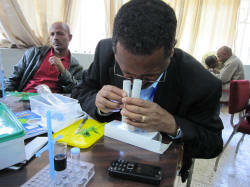 The Microscience Project intends to continue these activities. These projects bring the Centre into frequent interaction with practising teachers and classrooms in a wide variety of settings - from well-resourced urban schools to poorly-resourced deep rural schools. 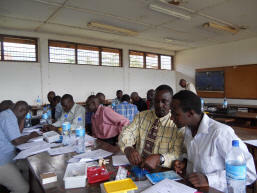 These interactions not only bring the intellectual and human resources of the Centre into meaningful engagement with local needs, but provide continuous feedback on the utility and efficacy of learning and teaching materials (including microscience kits and worksheets) created at the Centre and used outside of South Africa, particularly in developing countries and countries in transition.